The GirLong Sleeve Jackie JR Snowpants 14+ from Protest are fun, flexible, and warm. Featuring a slim fit and available in a great variety of colours, the pants are part of the Protest Geotech 10K series and withstand 10K mm of water pressure, safeGuarding a waterproof finish. 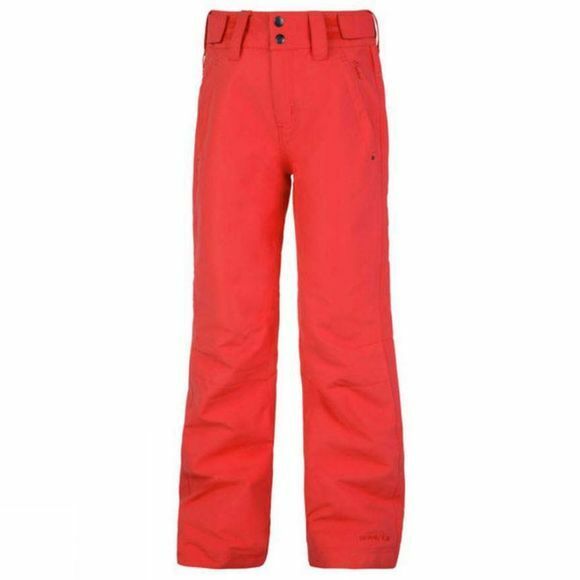 The slim fitting snowpants come in a variety of strong colours. The Jackie JR features critically taped seams. The adjustable waist with Velcro closure provides a snug fit.